Dental braces as we all know, are designed to help patients develop healthy smiles, to correct crooked teeth and help boost your self-esteem as well as improve your overall oral health. This orthodontic procedure has been widely used by children and teenagers with orthodontic problems, but today, braces are also a perfect choice for adults who aim to fix their teeth and enhance their smile. Correcting crowding and crooked teeth is not only possible for children. Though braces are often linked to childhood, it is not too late for adults to get treatment for issues with malocclusion or misaligned jaws. Adult braces are not far from braces for children. The only difference is the length of treatment since it often takes longer for adults to correct the problems than it does for children and teenagers. Some adults are hesitant to undergo the treatment because they think orthodontic braces are not suitable for their age and they don’t want other people notice them wearing them. The good news is there are various types of braces these days, and if you are a bit uncomfortable with traditional braces, you can consider other options that blend with the colour of your teeth and ones that are virtually invisible. Ceramic braces – they are made to blend in with your teeth so they will be less visible than metal braces because they are made of composite materials, which matches the colour of your teeth. The ceramic braces aren’t easily stained. However, the elastic ties can discolour easily especially if you consume foods that stain your teeth. However, your dentist will change the ties every time they adjust the braces, usually every month. Lingual braces – if you don’t want anyone to notice that you’re wearing dental braces, you can opt for lingual braces. The brackets and wires are bonded behind the teeth so they’re invisible when you talk or smile. The process is more complicated and it requires a skilful orthodontist to install the braces. Invisible braces – these types of braces work best for people who have minor teeth problems and those who don’t want to wear metals and brackets. The best thing about invisible braces is that they are virtually invisible unlike other types of fixed braces and they often require less dental visits. You may need to spend a little extra to get the perfect smile you want in the most comfortable and discreet way. A beautiful, straighter smile, which makes you look and feel good every time you show off your perfectly aligned teeth. Improved self-confidence as the treatment brings your teeth, lips and face into proportion, which makes you feel good about the way you look. Better dental health and function. Orthodontic treatments are meant to improve your bite and the function of your jaw. With straighter teeth, you can improve your dental care and prevent common oral health issues. Assistance of dental restorative treatment. Dental braces can enhance the results of restorative dental work such as dental implants. Orthodontic care is for everyone. As long as you have the qualities of a good orthodontic candidate, you can enjoy the benefits of wearing modern types of dental braces. Here at Simply Smiles Dental we offer the best types of braces from metal braces to ceramic, from fixed braces to removable aligners. Your just one step away from having the smile you have always wanted. We’ll give you a fully informed idea of all your treatment options, costs and the length of treatment. To determine which type of adult braces is best for you, consult your Toorak dentist today for a comprehensive examination. 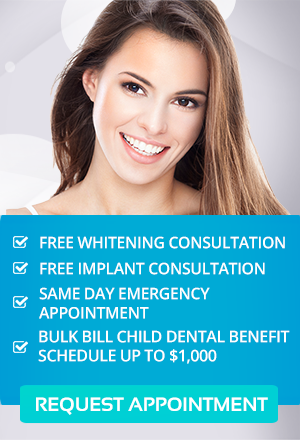 How Long Do Porcelain Veneers in Toorak Last?